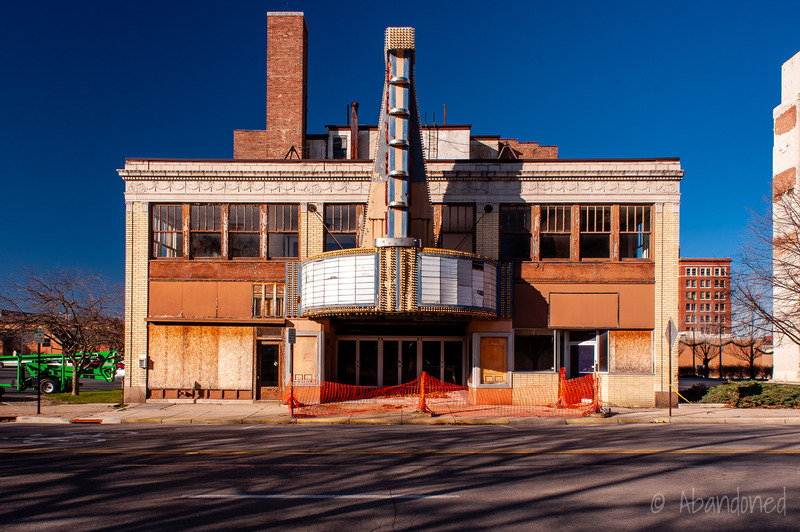 The Regent Theater is a former theater on South Limestone Street in downtown Springfield, Ohio. It opened in 1920 and closed in 1992. Klotz, who came to Springfield in 1906 to open a theatrical booking agency, helped the Marx Brothers, the Ritz Brothers, W.C. Fields, Al Jolson, Will Rogers, George Burns, Bert Lahr, and Edgar Bergen start their acting careers. 3 Klotz had a storied history, and it was reported in 1947 that Warner Brothers was considering making a movie based upon his life. During the hay-day of vaudeville, the Gus Sun Booking Exchange provided a circuit of 275 theaters with entertainers. 3 As vaudeville declined in popularity, the agency switched into booking acts for county and state fairs. At its peak, Gus Sun had ten offices that dropped to three by 1942 in Springfield, Detroit, and Des Moines, Iowa. In 2012, the Turner Foundation, which acquired the shuttered Regent Theatre, installed a new roof and removed the deteriorating signage in 2012, which was placed into storage pending restoration. 4 In 2013, the marquee was removed over safety concerns and also placed into storage. 1 Work began in the summer of 2014 to stabilize and partially restore the front façade, which included painting and cosmetic repairs. Sanctis, Matt. “Local firm upgrades historic Regent theatre.” Springfield News-Sun 11 June 2014: n. pag. Web. 12 June 2014. Article. Hoyts, Mike. 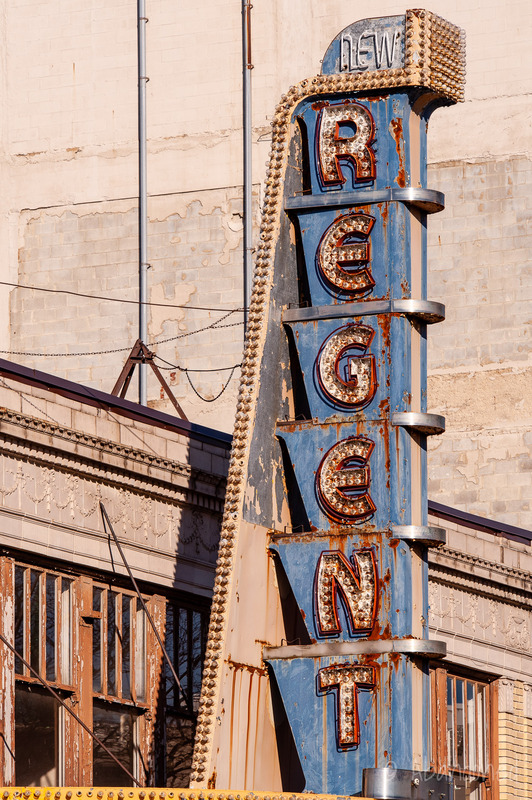 “Regent Theatre.” Cinema Treasures. N.p., n.d. Web. 12 June 2014. Article. McGinn, Andrew. “Gus Sun mural looms large, just like the vaudeville legend.” Springfield News-Sun 24 Aug 2009: n. pag. Mason, Everdeen. “Downtown renovations set.” Springfield News-Sun 9 Mar. 2012: n. pag. 12 June 2014. Article. “Regent Theatre.” Springfield Has History. N.p., n.d. Web. 12 June 2014. Article.